Cabra (Irish: An Chabrach, meaning "the poor land") is a suburb on the Northside of Dublin. It is approximately 2 kilometres northwest of the city centre, in the administrative area of Dublin City Council. It was commonly known as Cabragh until the early 20th century. 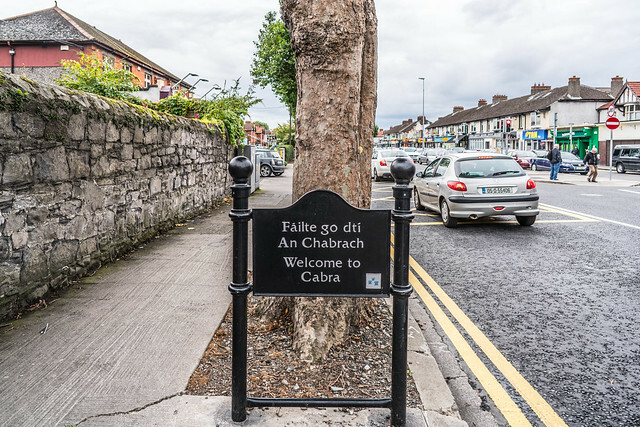 Cabra is also a parish in the Fingal South West deanery of the Roman Catholic Archdiocese of Dublin. It is served by the Church of Christ the King.